There are numerous people who are eying on the foreign exchange market these days to capitalize and gain profits in the process. With this advent comes the surge of various trading systems that promise people to become better and achieve so much more as they use these kinds of products. As a trader, you simply cannot choose the first one that catches your attention. You have to find out in depth information about the tool to be sure that you will be investing your money on the kinds of tools where you will benefit more. You may be a conventional trader who refuses such ideas like Forex robots and the likes. You want to rely on the services of professionals to help you plan your trading schemes. There is really nothing wrong with that. There are indeed people whom you can turn to for such requirements. But you cannot expect them to perform well all the time. They may base their opinions on the findings of their market study or they may also be using a trading system that you can also get hold of. It may be quite tricky to find out what system is the best that you can use to help you with your trading schemes. There are many products available and many more keep on coming out through time. You must really spend time doing your research about these products before you proceed with your purchase. And once you have acquired and are already using what you think is the best tool that can help you with your venture, you must not stop searching for more to find out if other products can perform better than what you already own. This way, you will be able to stay at the top of your game and will be able to execute the right decisions to make sure that you will make good decisions on your trading quest. Here are some considerations that you should think over if you are in the process of deciding what kind of trading system will be able to help you as you last in the business. 1. You must be able to understand how the system works. If you are going to spend money in order to acquire these tools, you must make sure that you will find it easy to use them. If you will spend more time in understanding the instructions and vague terms, you will be wasting your precious time because you could have spent such honing your trading skills. 2. You must look into the provider of the product. You must look into their background and how they deal with clients before you transact any business with them. You can get such information when you do your research and look for product guides and reviews. Make sure that you read all information available, including those that are about the sellers of the tools. 3. You have to look into the factors that make the products work. These were created to be able to perform technical analysis of the market trends. 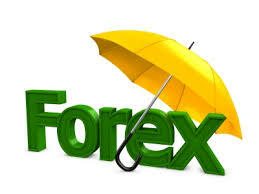 These conduct automated analysis using algorithms to arrive at useful Forex data. In order to get substantial results, you have to know when is the right to use these trading systems and when it will be better to rely on your instincts instead.